I popped up to see Andy (G0JLX) yesterday who was doing a /p session for the RNLI SOS radio week. http://www.sosradioweek.org.uk/ its a great cause and raises some much needed funds. As you can see from the photo it was a bit bleak on Westbury white horse. The ground was soggy everywhere and really very cold. 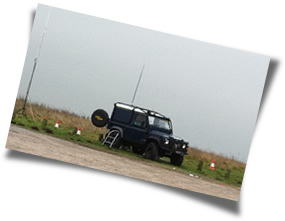 When I waded through the mud I joined Andy who was in QSO with Des (G0RBD). Andy has a really nice set up in the back of his Land rover, everything easily to hand, and warm too! Anyway I didn’t hang around too long, not only to allow Andy to get some more QSO’s in but it was really cold. 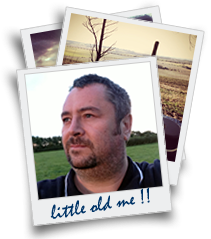 For more info on Andy’s mobile adventures have a look at his website. www.G0JLX.org.uk/g0jlx/ . I must also apologies to the XYL for traipsing mud into her nice clean car.... Sorry.